Mother Beverage is an apple cider vinegar drink infused with fruits, berries, and herbs. It contains 15 calories or less and 2-4 grams of sugar per bottle. It is light, crisp, and refreshing. Mother Beverage is lightly carbonated and made with 100% all-natural ingredients. Being healthy never tasted so great! 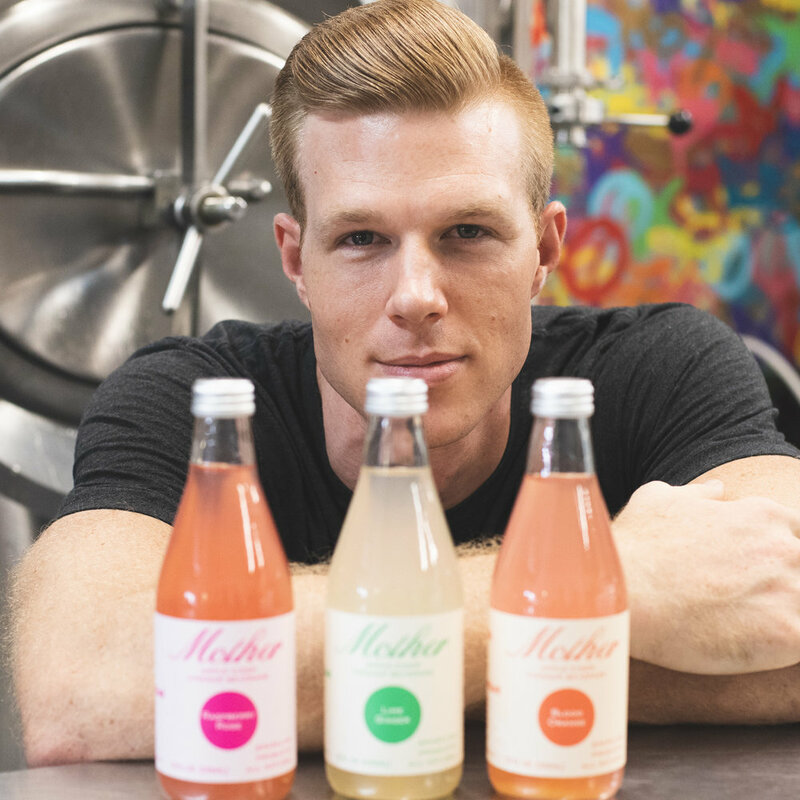 Mother Beverage was founded in December of 2015 by husband and wife duo Stephen and Allison Ellsworth. Allison was suffering from a variety of health issues and read that taking shots of apple cider vinegar (ACV) could help. Within a few weeks, Allison’s health issues had subsided. Allison was amazed with the benefits! The prebiotics and acetic acid contained in ACV helped to detox and reset Allison’s body and immune system. Allison, like many others, loved the benefits, but not the taste. Allison knew there had to be a better way to consume ACV. With that, the idea of Mother was born in her Dallas kitchen. Mother contains 1 TBSP of ACV per 12 oz. serving, in a great tasting, low calorie, and low sugar beverage. It’s a better for you soda! Allison has been using Apple Cider Vinegar in her daily regiment for years and fell in love with the results. This inspired her to create a beautifully tasting beverage to share with everyone, so they too can enjoy all the benefits that ACV has to offer. Through trial and error Allison has crafted several flavors that she knows you will thoroughly enjoy! Stephen is a health conscious individual who loves eating clean and working out. When his wife Allison introduced him to Apple Cider Vinegar and all the health benefits associated, adding it to his daily routine was a natural fit. Stephen and Allison work side by side from the kitchen to the office to bring this Mother to life. Trust us. We hate annoying emails just as much as you do.